Every year, millions of people die from a traffic accident. 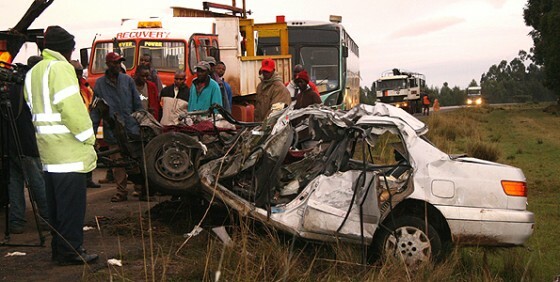 Unfortunately, many of these deaths are due to poor road condition and bad driving. In fact, the deaths may have been preventable by better driving and common sense, but there are roads that just test the courage and skill of any driver, roads that have sheer mountain drops, hairpin bends, or roads that go through a war zone. This list of dangerous roads has higher death rates and just extremely dangerous because of road condition that only knuckleheads and thrill seekers would enjoy traversing. 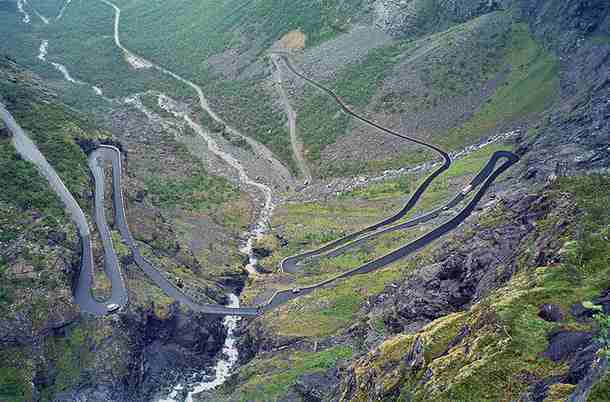 Take note, driving in the world’s most dangerous roads are just like dancing with death. Nairobi is one of the world’s most dangerous although the road is well paved, have no dangerous hairpin to make you think of crazy stuff, every year over 300 people die from this decent road because of over speeding, reckless and drunk drivers that regularly passes this famous Kenya road. 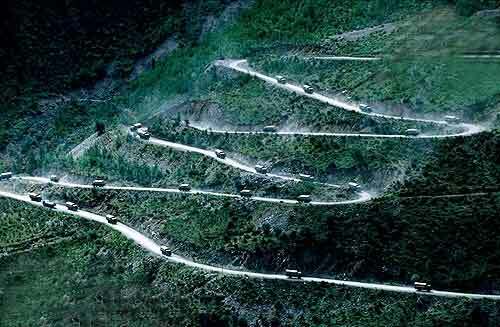 The Sichuan highway covers about 1,500 miles and boasts of large mountain peaks, beautiful scenery, and famous rivers. 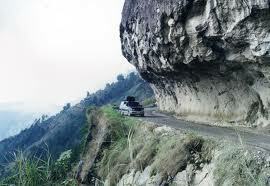 The highway are are actually prone to falling rocks and landslide, especially during extreme weather condition. 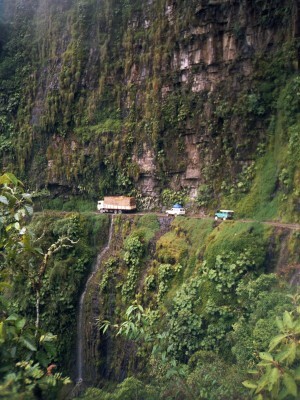 Not to forget the 100 hairpins and high altitude that could make driving in this road unsafe. 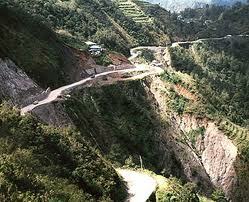 Halsema highway is said to be the quickest way to Baguio city, a summer destination for Filipinos. The 150 miles highway connects the Benguet provinces to Metro Manila or Northern Luzon. The highway is well traversed by buses and private vehicles, despite the fact that landslide, falling rocks and accidents are common happening. 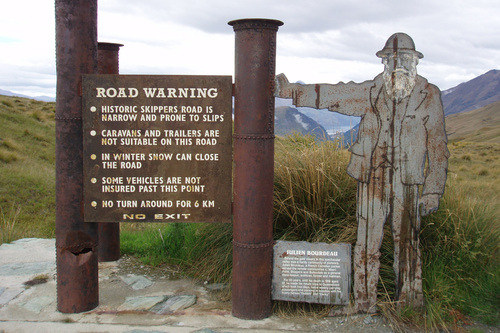 The majority of the road has no safety rails, making travelling extremely dangerous as there are no stopping vehicles from falling down over 1,000 feet. 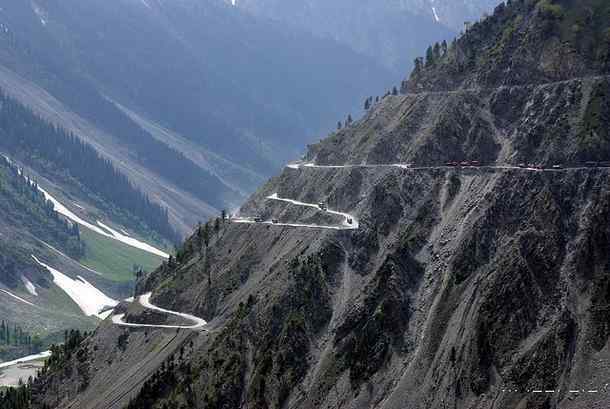 The Zoji Pass is a nine-kilometer mountain road between Kashmir and Ladakh. This road connects Ladakh with the rest of the world, even though it’s cut off during winter because of heavy snow. 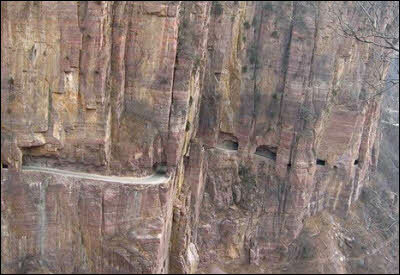 The 3, 528 meters road has no barrier on the open side, so a stupid mistake could be deadly. 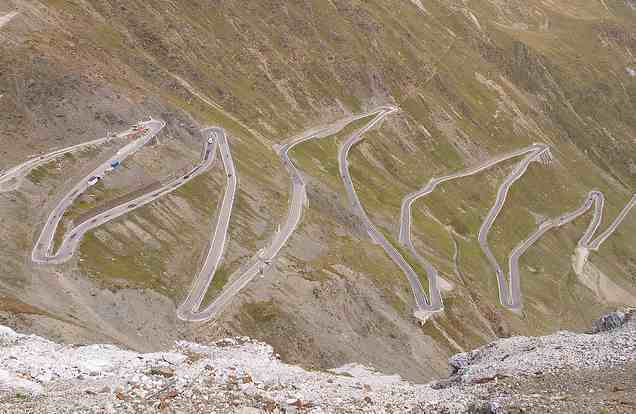 Skipper road is one of the most treacherous roads in the world. Most of the travelers that have passed through the narrow, winding pathways of skipper’s canyon can attest to the exhilarating twist and turns of this road, which took 22 years to build. 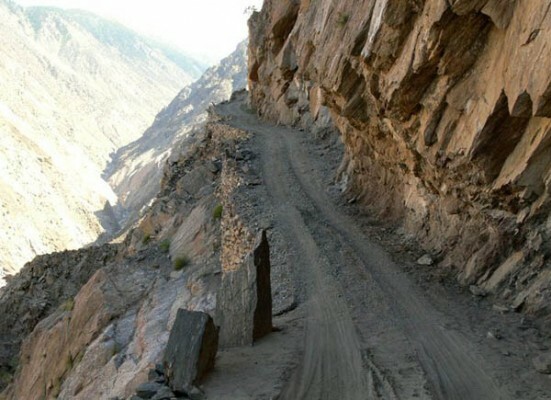 The road blasted and carved right out of solid rocks by foreign laborers are too narrow, have no guardrail to stop a vehicle from falling off. In fact, the road leaves no room for stupid mistakes, probably why most rental companies don’t allow renters to explore this famous road. The Guoliang Tunnel, a 1, 200-metre long tunnel about 4 meters wide and 5 meters high are one of the dangerous roads in the world, but of course, not for the Chinese villagers and skilled drivers that drive through the road every day. The tunnel that does not tolerate careless driving because of the road open edges is located in the Taihang Mountains, in Hunan. The Fairy Meadows road is 6 mile long, located on the base of the world tallest mountain. Backpackers, mountain climbers, and photographers often traverse the gravel mountain road to get to the top and enjoy the view. But if you have a weak heart, the 1 hour travel time can make you catch your breath as the road has no guard rail to stop your vehicle from slipping down to the deadly gorge. In fact, the last section of the road is no longer safe for a vehicle, which is why walking or biking the last mile is a better option. 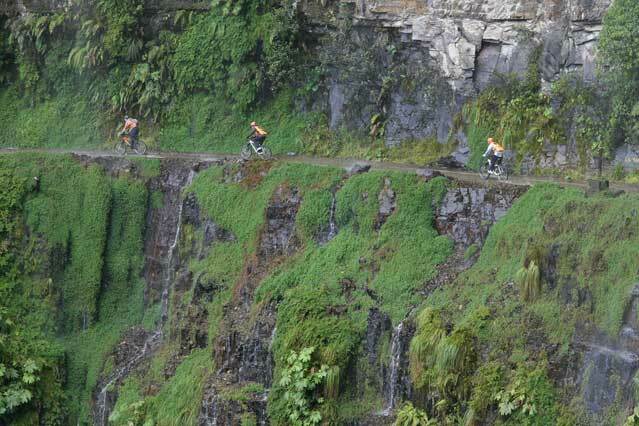 The 40 mile mountain road from La Paz to the Coroico in the North Yungas region, once declared as the world most dangerous road by the Inter-American Development Bank as the route steeply enough for overcrowded buses and local trucks to fly off, the road. The old Yungas road connecting the Amazon jungle to the city was built by prisoners in 1930s have an average of 200-300 fatalities yearly since the two-lane road widest part is just 10 feet wide, with no barrier for protection. 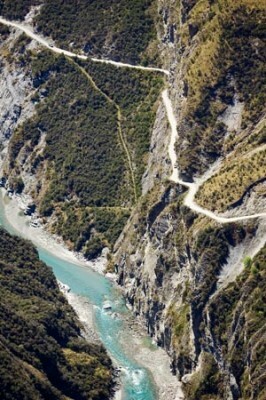 Fortunately, a new road opened, so only a few vehicles and thrill seekers travel to the deadly road.